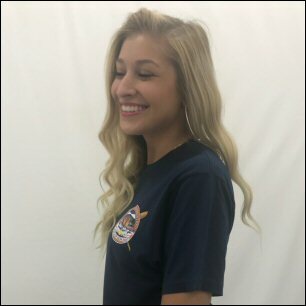 These are by far the best Station shirts in the USCG. Quantity of 12 minimum t-shirts required. $11.95 each. We keep shipping at a minimal cost to you. Once we receive your order quantity, location and logo, we will calculate shipping. 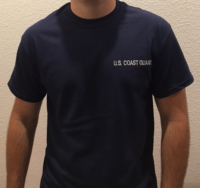 Put your USCG station specific designed logo on your t-shirts! 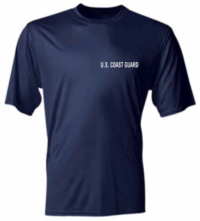 USCG designed logos are very detailed with multiple colors creating a higher cost. The logos are actually printed, not screened. This is a very expensive process but our dedicated printer is giving us a large discount as a former United States military veteran. Logos should be sent to my email address at LinenService@tampabay.rr.com We will take your logos and digitally enhance the quality by creating a Vector File which will stay on file for future orders. This cost has been incorporated into the price of the shirts. Each logo will be a 4″ x 4″ circular logo which will be printed on the front breast. They look incredible! Very soft shirt. Due to the great detail and multi colored designs Station artwork/logos must be printed on RTP cotton/material. We cannot print on moisture wicking shirts.